With 24-hrs public transportation. Easily get to & from various directions . 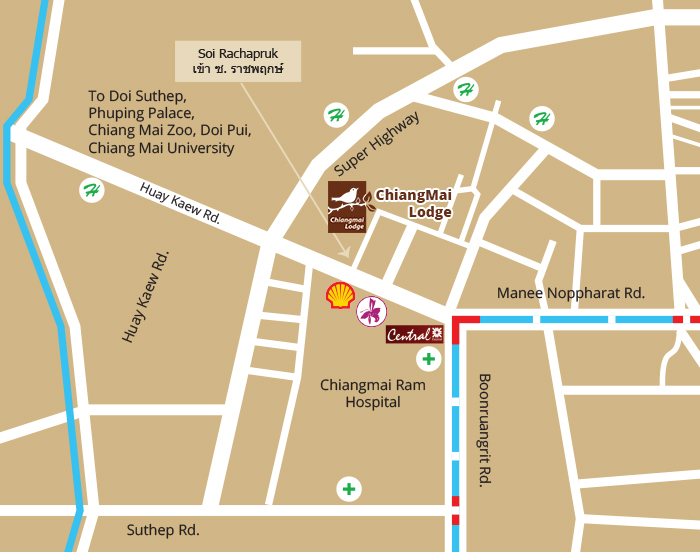 Located pretty close to various main shopping center ie: Kad Suan Kaew Shopping Complex, Central Department stores, Chiang Mai Orchid Hotel, and entertainment center on Nimmanhaemindth Rd. 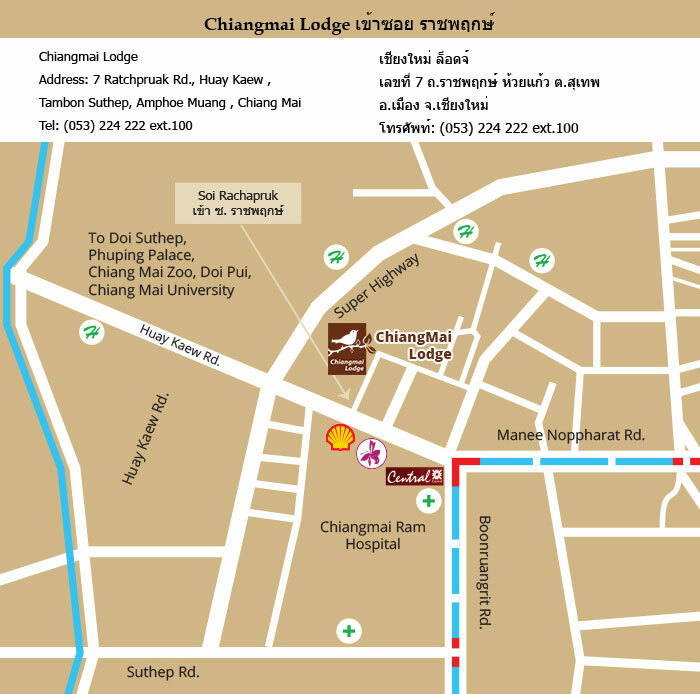 Wat Phra Singh Woramahaviharn (Old Town Area) 5 minutes by public transport 2.3 Km. Central Festival Department Store 10 minutes by public transport 7.3 Km.